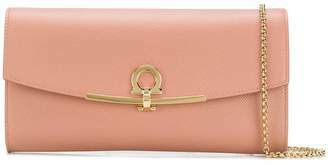 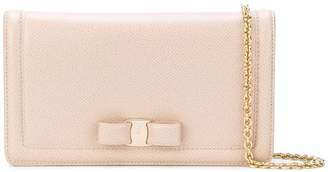 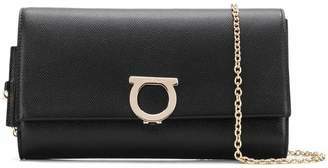 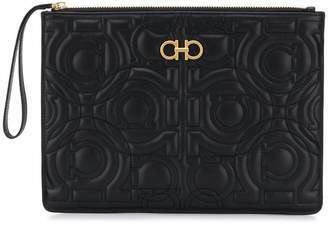 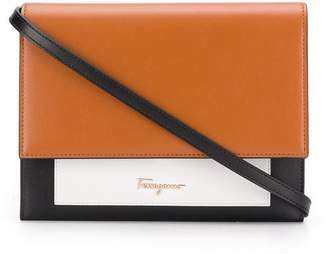 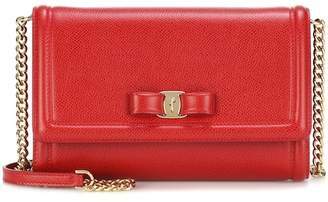 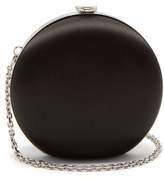 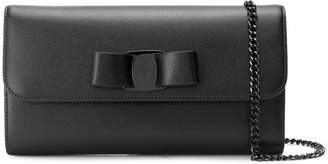 Salvatore Ferragamo - Salvatore Ferragamo's black satin Pallina clutch will make the perfect companion to evening separates as well as tailored edits. 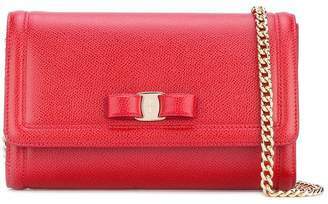 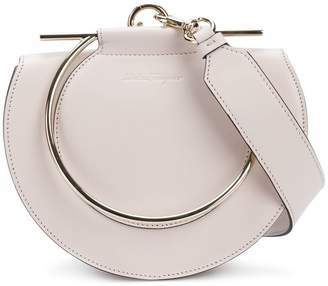 It's made in Italy with a detachable silver-tone metal chain shoulder strap and a snap-hinge frame, then lined with coordinating satin. 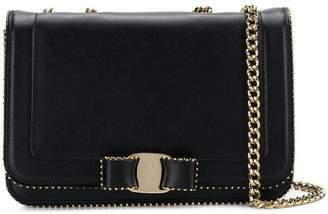 Swing it over the body of a floral brocade dress for a formal dinner party.